The past four months have been a powerful, but exhausting time of learning more about how the love and wonder-working power of Jesus is greater than fear, but now I am hearing His advice to take a break, so I’m going off the grid for a while. We continue to see answers to prayer in so many areas. God is simply amazing. We’ll chat more when I get back. We are overflowing with thankfulness as our son-in-love’s rate of recovery defies the odds. He is now off dialysis. Thank you, thank you, thank you, Lord! Strength will rise as we wait upon the Lord. 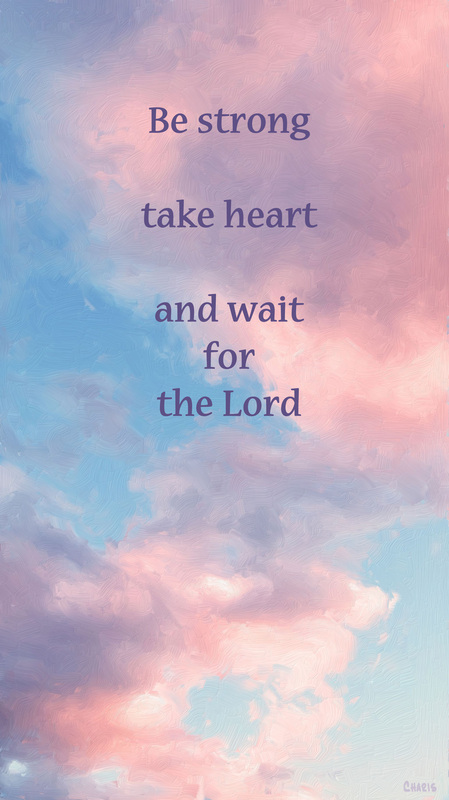 So we wait upon the Lord. After being in a coma from flesh-eating disease and sepsis, our son-in-love is breathing on his own, talking and joking, starting to eat, and standing up (with assistance). Thanks to those of you who prayed for him. 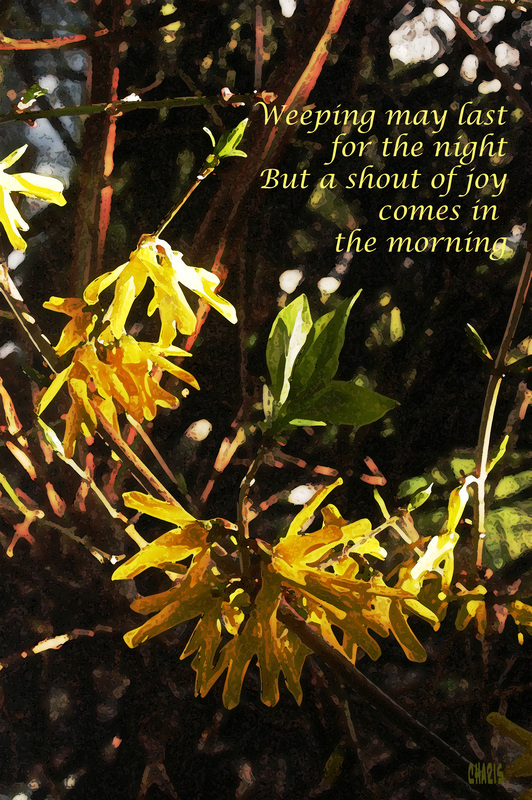 He has a long way to go to fully recover, but we shout joyfully and thank God for the miracles already received. God is good. So very, very good. 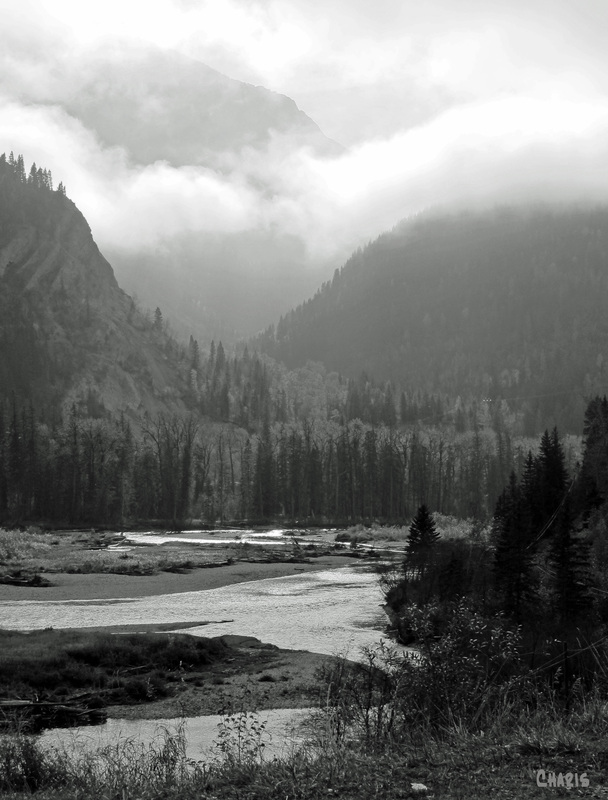 Sometimes the best way through the valley is through the valley. That’s where the feast is kept. According to the calendar spring has arrived. According the robins spring has arrived. 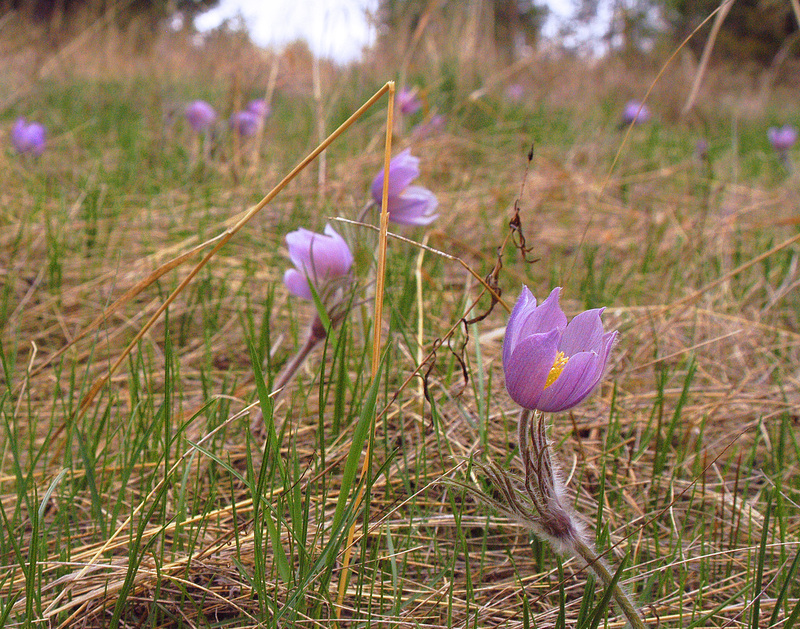 According to the crocus spring has arrived. 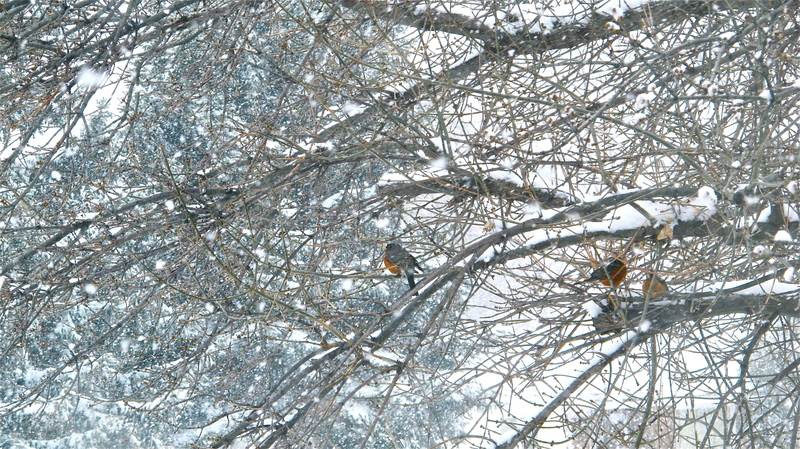 According the wind whipping huge flakes of snow around the door and shoving icy cold down our necks, the calendar, robins and croci are all delusional. Sometimes the faith life feels like this. We see the finger of God poking into our winters with the promise of spring. We see healings and restorations and resurrections of dreams. The truth is evident and we rejoice and sing and invest in the future. We buy cucumber and swiss chard seeds (or squish hard seeds as my granddaughter calls them.) Then we step out into the garden to plant them only to find ourselves shin-deep in snow. The truth is spring has arrived. The truth is winter is still hanging on -at least in this part of the world. So we buy our seeds and start them inside the house, because even though winter has still not received the message that its days are over, we know that its days are over. Even though the worst blizzards on the prairies seem to strike in the spring, the days will turn warmer, the grass will turn green and the flowers will bloom, eventually. Summer is coming and summer has never failed us yet. We know that God’s will will be done on earth as it is in heaven, because even though the enemy of our souls has not accepted his inevitable demise and he roars in like a spring blizzard, his days of stealing, killing and destroying are numbered. We know because God has never failed us yet. His loving kindness is everlasting. I saw these guys on my walk in the woods yesterday. 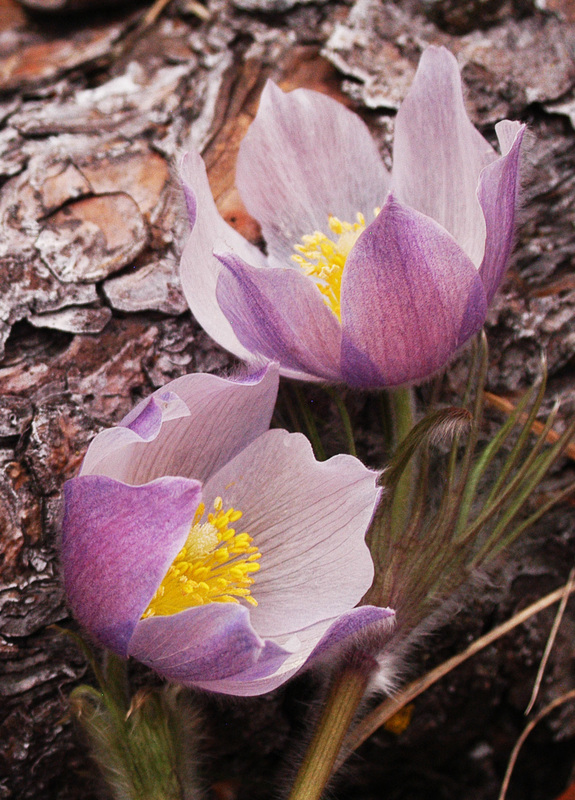 Crocus flowers, or pasque flowers as they are sometimes called, fascinate me. 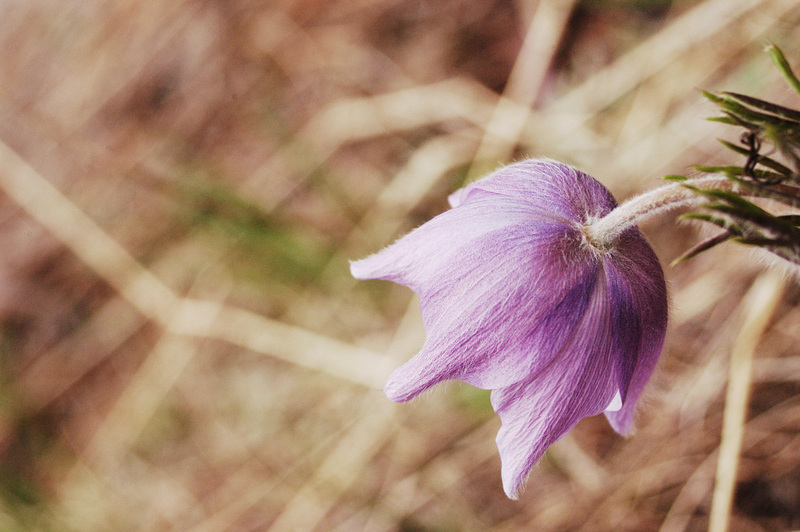 As forerunners they are the first to demonstrate the change in season by the prophetic act of blooming before any of the other wild flowers in the Rockies. I read this recently: Hope is hearing the music of the future; faith is being able to dance to it today. 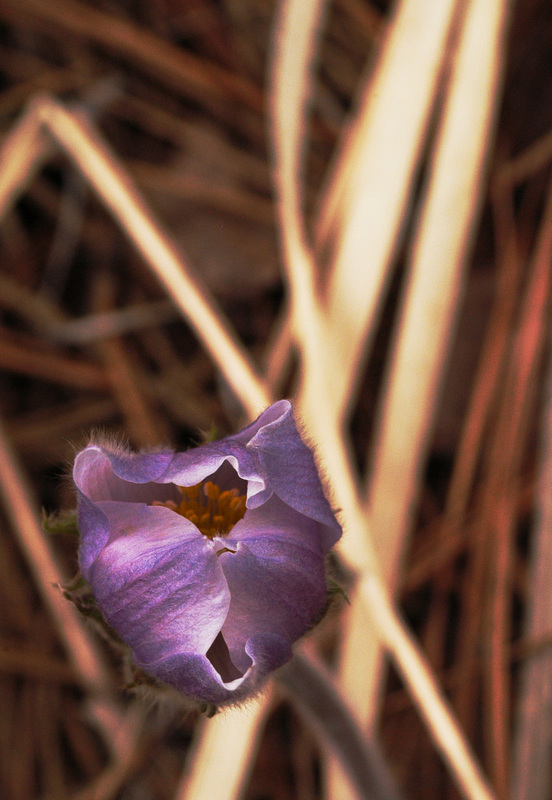 The crocus reveals, as it folds back its furry purple robes, a heart of gold. 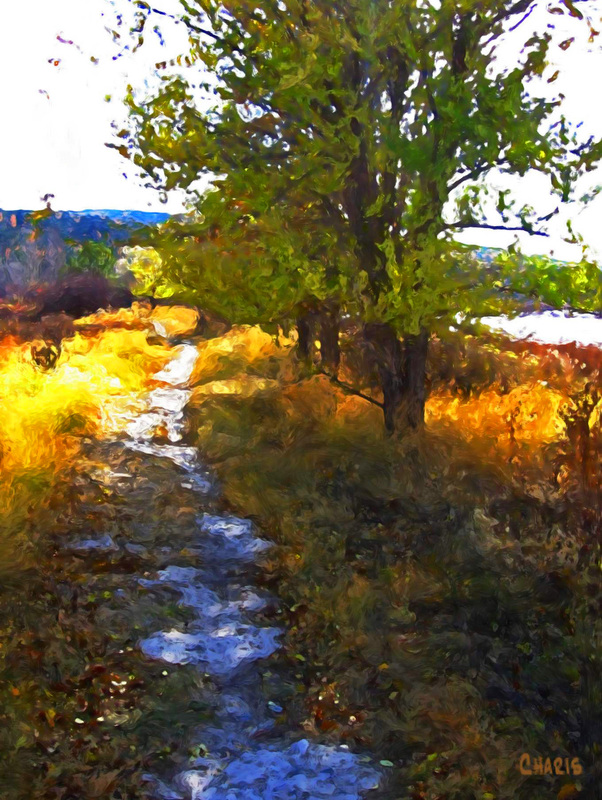 It’s mere presence between patches of dust-weary snow in the mountain meadows sings to me songs of stepping into destiny by faith. Come out of your caves! Don’t let your past define who you are today! Open to the light! Let it dispel all the dark fear that keeps you from letting anyone see your heart! You are beautiful! This song kept playing in my head all night and woke me in the morning. One line stood out in particular: Thy precious blood shall never lose its power, ’til all the ransomed church of God be saved to sin no more. In contrast to the on-line ugliness seen this past week in attacks directed at a well-known pastor/teacher and author whose son died tragically, I have seen the beauty of thousands of people coming together to pray for a man many of them have never met. I have seen leaders from other fellowships with differing doctrines lay down their right to be right and pray together toward the same purpose. I’ve seen folks from many varieties and styles of prayer and worship of Jesus Christ respond eagerly to prayer bulletins on social media. I paced and wept and cried out for the life of our son-in-love at that moment when teary-eyed nurses invited immediate family for a brief visit before another surgery on “John.” We knew they did not hold out much hope for him. Strangely as I prayed and walked the halls the phrase that kept popping up, unbidden, in my mind was: “The deeds of the flesh must die.” I didn’t understand it then and I didn’t want to hear it. I realize now this trying time is not about punishment or God being angry with John. The Lord knew he would be okay. This is about a bigger picture. John has required many blood and platelet transfusions; he has almost needed a fountain of donated blood to keep him going. As I watched another bag dripping life into him today, and with this song still in my head, I was struck by the symbolism. Finally John is starting to gain consciousness and even make jokes with us, although it is difficult for him to communicate. He is still surrounded by machines and a room full of skilled care-givers who watch the numbers and tend his needs. He can do nothing for himself -not even breathe- but I think the Lord is using him even in his helpless state to teach us. It is the blood of Christ freely shed for us that gives us life. It is the light of Christ’s love that reveals corruption in the body, the underlying dis-ease of lack of love that spreads like killer bacteria and keeps the church from being what God intended. It is the kind adjudication of God that filters out lies and shows us where we need to change and be renewed. It is the sharp sword of the Word of God that is able to excise and remove necrotic tissue without damaging the healthy tissue and it is Holy Spirit who breathes new life into us. Christ is returning for a spotless bride. He is revealing and cleansing not because he intends judgmental condemnation, but because he loves us and wants us to be well. But the fruit of the Spirit is love, joy, peace, patience,kindness, goodness, faithfulness, gentleness, self-control; against such things there is no law. Abba, in your church, be glorified.